A must have for any dog lover. 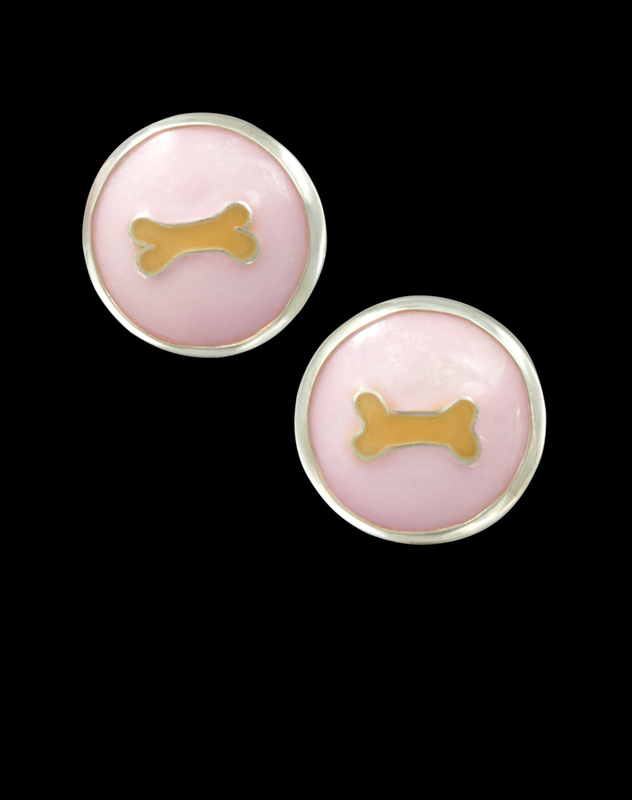 These lightweight post earrings are slightly domed and feature a light brown dog bone edged in silver on pink enamel. Enameled on fine silver and are bezel set in sterling silver.